The Salami Salesman and His Daughter Falafel is Dr. Laurie Mallery’s poignant account of the events leading up to her father’s death and what she learned through the process of caring for him (the book's subtitle pretty much says it all - What an older man's death can teach us about how and how not to care for the frail and dying). An internist/geriatrician and head of Geriatric Medicine Dalhousie University in Halifax, Nova Scotia, Dr. Mallery’s role as the informed family member-caregiver is both impeded and enhanced by her medical training. In caring for her 83-year-old father who suffered from a complex interaction of health conditions (i.e. cerebellar strokes, CHF, atrial fibrillation, hemolytic anemia) that contributed to and exacerbated his declining mobility and cognitive impairment, Dr. Mallery undergoes a learning process that informs the reader about pertinent medical and social issues affecting end-of-life care. Family needs clashing with those of the provider – Throughout the narrative, several instances of family needs clashing with those of the provider appear, demonstrating the fundamental differences that exist between providers and the family when it comes to the patient’s care needs. In Dr. Mallery’s case, given her medical background, there is an added underlying power struggle. For instance, after observing her father’s decline in mobility, Dr. Mallery suggests he get a walker, to the dismay of his internist who opposes the suggestion on the grounds that a walker would diminish his ability to function independently. Perhaps the more compelling example is the intubation of her father against the family’s wishes and the DNR preference established in her father’s advanced directive. Lack of geriatric-focused care for the dying frail elderly – When her father is hospitalized after a fall that results in bleeding in his brain, the physicians are hopeful that he will recover, though Dr. Mallery believes her father, as an elderly individual, would have a poor prognosis compared to younger patients. 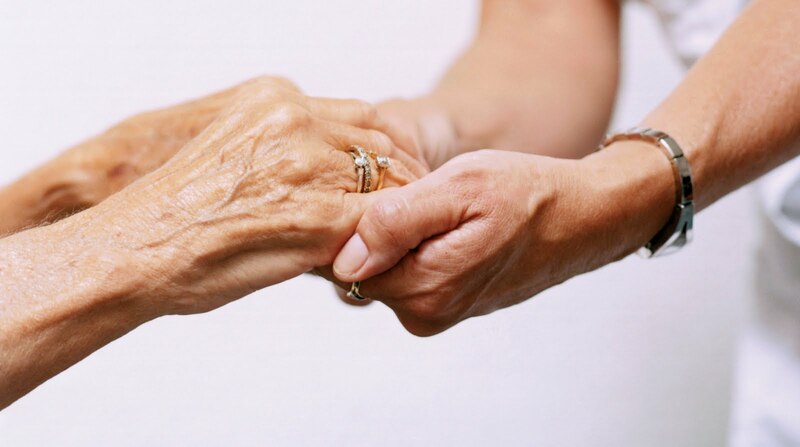 In addition, she points out that frailty is not commonly recognized as an indicator of functional decline and strongly advocates for its wider recognition by physicians caring for the elderly. Expensive, unnecessary, and sometimes aggressive medical treatment – When her father is transferred to a subacute rehabilitation unit following his hospitalization, Dr. Mallery is stunned by the myriad interventions that are ordered – physiotherapy, occupational therapy, speech therapy, swallowing evaluation – all of which she views as impractical costs to the system, the family, and the patient, in terms of causing him discomfort and exacerbating his delirium. Taking a holistic approach to assessing the patient’s health, including health status, mobility, function, cognitive and support systems. Ensuring accuracy of information regarding patient’s health history, especially for individuals with cognitive impairment (obtaining corroborative accounts from family members is strongly suggested). Avoiding redundancies in gathering information on the patient, which would require collaborative efforts among members of the health care team. Developing an appropriate treatment plan for the patient in alignment with hard evidence that could inform the decision making process for both the clinicians and the family. For providers, recognizing signs of end-of-life, especially frailty as an indicator of poor health in the elderly. It is important to keep in mind when reading these personal accounts that each situation is unique and individual preferences will dictate one’s behaviors and feelings within the context of health care decision making. In Dr. Mallery’s case, her medical training could be viewed as an advantage in that she was able to effectively seek out appropriate health care resources for her father; on the other hand, her prejudices as a physician could be viewed as a disadvantage in that it was perceived as interfering with her father’s care when she clashed with the providers. In the case of a frail elderly patient with functional decline and cognitive impairment who cannot competently make decisions for himself/herself, it is always difficult to know what he/she truly wants or needs at any given time. In any case, the important take away message lies in the care principles that Dr. Mallery developed in response to her experiences. I just ordered the book on Amazon. Disappointed that there were no reviews at that site. This book is amazing. It tells the poignant story of how to understand the health care system and how a family can give the best care possilbe to someone who is frail and nearing the end of life. Anyone who takes care of an older family member must read this book for inspiration about how to proceed. I've been meaning to write to say how much I enjoyed your book. Apart from being eye opening and educational, it was so heart felt and moving. It made me sad. I wish I had had it during the dying process of both my parents in Toronto- my father in an intensive care unit and my mother years later in a horrible hospital. Please keep going with this important work and thanks so much for sharing it with the world!